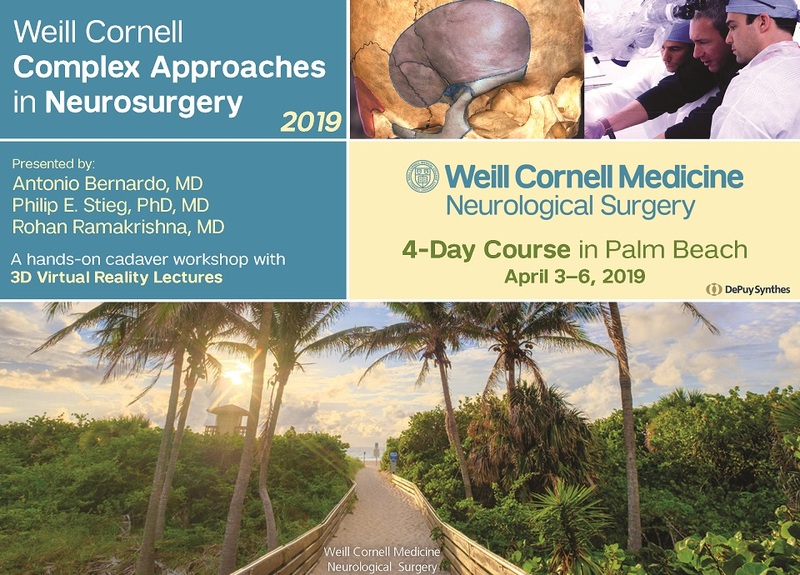 This unique 4-day dissection-centered course forces on mastering some of the most complex approaches in neurosurgery including the pterional, fronto-orbitozygomatic, trans- and pericavernous, endoscopic transnasal transsphenoidal, subtemporal, middle fossa, anterior and posterior transpetrosal, retrosigmoid, far lateral, lateral cervical, occipital transtentorial, supracerebellar infratentorial, and the interhemispheric transcallosal. Much of the material is presented in an immersive 3D format in Depuy Synthes’ facility in Palm Beach Gardens, Florida. THANK YOU FOR YOUR OVERWHELMING INTEREST! AT THIS TIME ALL AVAILABLE FREE SPONSORED SLOTS HAVE BEEN FILLED! To view the agenda for this course click here. Feel free to contact Pat Fitzwater at (805) 300-9154 or by e-mail at pat@academiceventmanagement.com.